Email Swipe #5 COMING SOON! Email Swipe #6 COMING SOON! Email Swipe #7 COMING SOON! Email Swipe #8 COMING SOON! Email Swipe #9 COMING SOON! Subject: [fname], Do you want your Ex back? Subject: [fname], Your Ex isn't over you... yet. My system is rooted in behavioral psychology. By combining this with text messages to deliver the message, the result is a system that is so powerful, it has worked for more than 10,000 people! Text messages are direct, non-confrontational, and can be responded to when it is convenient to the person you sent it to. They are especially effective when dealing with the situation in person, could be too risky. Let Justin Sinclair, personal relationship expert, show you exactly what messages you need to send your Ex, and how to send them. You'll be blown away when your Ex starts talking to you again and eventually asks to see you. Subject: Did your Ex boyfriend or girlfriend break your heart? Would you do anything to get them back? My friend Justin Sinclair is a world famous relationship expert who has helped THOUSANDS of men and women get their Ex back. He teaches secret psychological techniques that he makes you PROMISE not to abuse… but they work so well your Ex will literally be BEGGING to have you back. He put together a totally free video explaining his techniques that you can start using right away on your Ex. Subject: [fname], Do you want your Ex back? Have you heard of Justin Sinclair? He released a program called “How To Get Ex Back", which has helped over 10,000 men and women get their Ex back using his controversial methods. How are you going to feel when one of your friends or family says that to you? If you would like to get your Ex back into your arms, watch this free video by a world famous relationship expert. Email Swipe #4 COMING SOON! Subject: [fname], Do you know who he is out with? I know, I know, these types of questions are always running through your head. Justin Sinclair, creator of How To Get Ex Back, shows you how to reconnect with your Ex, and get him back in your arms before it is too late! I know you may think your situation with your Ex is hopeless, but I promise you that I can help. It doesn’t matter how often you fight, or how big your last fight was with your Ex. 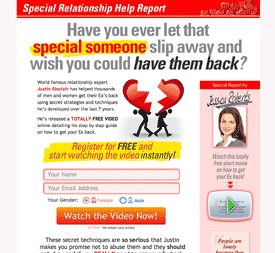 After you watch this free presentation, I know that you’re going to crack a gigantic smile when you realize how easy it is to get your Ex back, and better yet, how to get them come crawling back to you! Subject: [fname], Your Ex is sleeping with someone! If you found out today that your Ex is sleeping with someone, how would you feel? Because unless you act quickly to get him back, this is going to happen eventually. Justin Sinclair has helped over 10,000 women get their Ex back, and he can help you too! Subject: [fname], Do you know who she is out with? 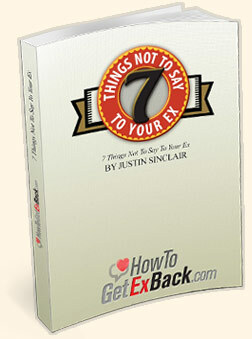 Justin Sinclair, creator of How To Get Ex Back, shows you how to reconnect with your Ex, and get her back in your arms before it is too late! Don't lose the love of your life to another man! If you do, you’re in luck! Justin Sinclair has helped thousands of guys just like you, get their Ex girlfriends and even Ex wives back. He put together a free presentation online for you to check out. There is no telling how long it will be up for, so if you want his help, make sure you check it out right now! If you’re suffering and in pain right now because of an Ex girlfriend, this message is for you! There is a controversial new video out that will show you exactly how to take advantage of female psychology, and win them back… no matter how mad they are at you right now! Hurry before this video is taken down! 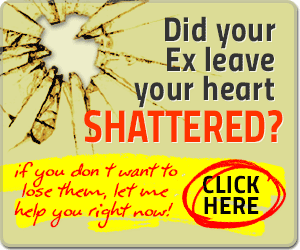 Click Here For A Controversial Method To Get Your Ex Back! Your Ex Is In Bed With Another Man! Your Ex Is In Bed With Another Woman! We have put together some good Ads for you to use with PPC, as well as a good starting set of keywords. Use this as a starting point to forge your own PPC campaigns! We also have some excellent Twitter Posts you can use included in this download. Just replace the link with your affiliate link and tweet it out to your followers! If you need to host your own landing page and are running non gender specific campaigns, we have 3 great landing pages you can use. The conversions are incredibly high and we have a click to visitor ratio on targeted traffic of over 95%! Each page lets your visitor select their gender and they'll be taken right to the video sales pitch! We already have affiliates with very successful media buys using these landing pages, just contact us if you have any questions. With this landing page, you will be able to collect email addresses, and then, give them a copy of "7 Things To Never Say To Your Ex". You can rebrand this ebook with your affiliate ID. Simply enter your affiliate ID below: Click Here. Give this to your visitors as a free bonus and make money! IMPORTANT: We have also included a thankyou page - Ebook_Giveaway_LanderThankYou.html inside of the .zip file. Link to the sales video from this thank you page! Use this blog / advertorial style landing page to really increase conversions. You can use the email collection form on this landing page to list build, and also dynamically send your visitors to the correct video sales page (based on their gender) on our site. We have put together a list of great places & ideas to generate traffic to promote our program. We have created 3 articles that you can link to directly. At the bottom of the article, is a link that will contain your affiliate code. You can also download these articles and publish them on your site, while including your affiliate link in the article. To make sure you get credit for the sale, please add: ?hop=YOURID to the end of the URL, and replace "YOURID" with your clickbank ID. Display Downsells on Landing Page? Display Downsells in Video Page? Auto-Play Video on the Sales Page?